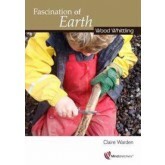 Fascination of Earth - Wood Whittling provides an insight into the knowledge you require to facilitate learning occuring in outdoor environments, taking the natural elements as a guide. Designed to offer support to staff to raise their own knowledge and skills to empower them to use authentic experiences to deliver a broad curriculum, whilst celebrating children's voices as guides to the potential learning possibilities. It provides information, curricular links and progression in learning with benefit risk assessments all in one place. 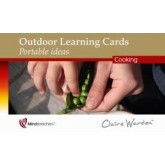 This series provides an insight into the knowledge you require to facilitate learning occuring in outdoor environments, taking the natural elements as a guide. 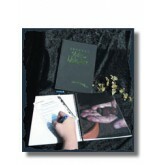 Presented in A5, with full colour photographs throughout its 49 pages. This book explores the methodology of the active learning approach. Full colour throughout it uses photographs to enable staff to 'visualise' effective organisation and quality provision required to enable active learning. - A self-evaluation toolkit for educators to reflect on what they're doing now and where to develop to be more effective. - Examples of practice from around the world and in various environments, including urban settings. - An entire chapter on assessment and planning to help ensure and demonstrate quality of provision. 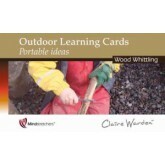 Looking at all the possibilities and approaches, there are models for practice to suit every setting so that everyone can make outdoor learning part of the core teaching and learning objectives. 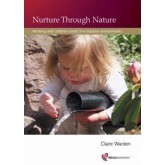 This new title provides a balance of academic research and case studies of children's voices to explore all the facets of setting up and co-ordinating a Nature Kindergarten. 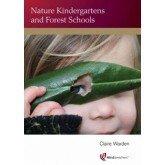 Claire Warden's Philosophy of the Nature Kindergartens is an awe inspiring blend of a naturalistic space indoors, a landscape designed by children and a wild space where children can be outside for up to 90 percent of their day all year round. Full colour photography throughout brings the books to life through the children's learning stories. 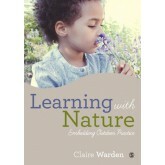 This book explores the connection that very young children have to nature. 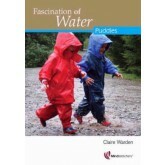 Each chapter celebrates a natural element such as mud and details practical ideas for taking children under three outside to play. 'Spring' is the first (of four) DVDs. 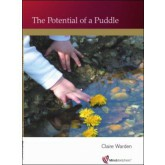 Claire Warden presents and shares her practice, philosophy and expertise that underpins the award winning Auchlone Nature Kindergarten in Scotland. 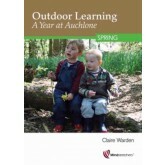 DVD Filmed on location at Auchlone Nature Kindergarten. 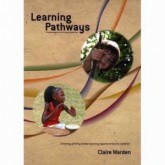 DVD also contains a 20 page booklet written by Claire Warden. 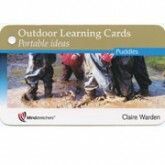 The DVD and booklet are ideal for training and CPD, as they include examples of practice with points of reflection. New Release! 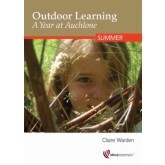 Outdoor Learning A Year At Auchlone - Summer DVD. ‘Summer’ is the second in a series (of four) DVD’s. 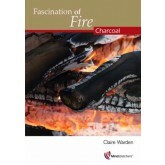 DVD also contains a booklet written by Claire Warden. We see whittling as an activity that allows children freedom, flexibility and a chance for a lot of personal space to connect with their sense of self and their natural environment. Whittling is an activity used on a regular basis in our Nature Kindergartens and during our work with teachers. When we introduce whittling to a group, we find that the engagement and wellbeing levels of the individuals generally increases and that the sensitivity to both the environment and peers increases. 42 cards - image on one side, text on the other. 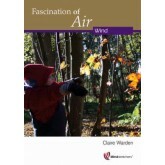 This book looks at the issues that surround quality outdoor play and learning. Each chapter examines an aspect of good practice and identifies key statements to consider as a framework for outdoor play.